The group is made up of 160 women and three men. Besides cleaning they also seek to encourage a cultural shift within their community; this is the second clean up crew in the Santiago Ixcuintla township. The Riviera Nayarit Beach Cleanup Network (BCN) continues to grow with the addition of the Grupo de Mujeres Unidas por un Boca de Camichín Limpio. Boca de Camichín is a coastal village in the Santiago Ixcuintla township within the Protected Marshland Area. The BCN event for this upcoming Saturday, November 12, 2016 is the 30th of its kind. 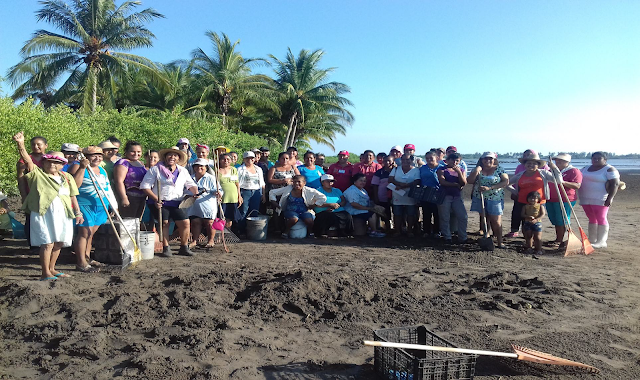 This new group is very special, as it began to clean up the area on its own every 15 days and will now continue to do so with the supplies they will receive from the Riviera Nayarit Convention and Visitors Bureau. Boca de Camichín is a village fully dedicated to fishing and oyster farms. This group, comprised mainly of women, decided to put their social awareness and understanding of global climate change to work and took the initiative of starting this cultural shift that will encourage this type of thinking within the rest of the community with each cleanup event. Among the objectives of their best practices policy is to prevent littering the streets and the dumping of fish entrails or oyster remains into the water, to begin the collection of PET plastics and the separation of organic and inorganic waste and to foster a general respect for the environment. The undertaking is moving ahead in earnest and they have already organized environmental workshops for kids and teens, as one of their top challenges has been to transform the community’s mindset and bad habits. However, they have faith their constant efforts will bear positive fruit. The Ostricamichín Fishing Coop, located in the region, has been one of the top supporters of this group. 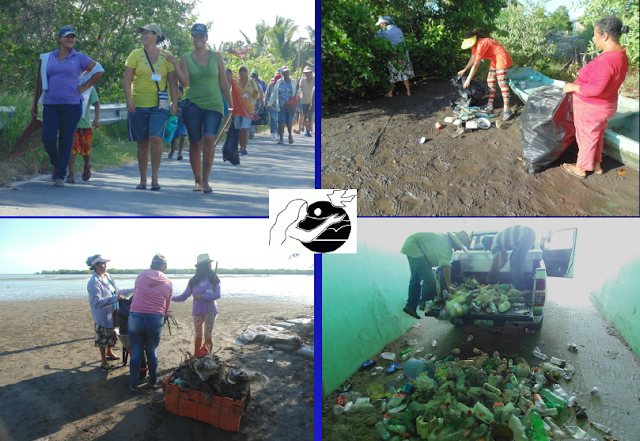 This is the second clean up crew in Santiago Ixcuintla along with the ladies of the Isla de Mexcaltitán.